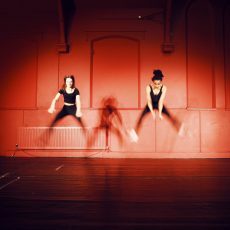 This fantastic kids dance class takes a unique approach to dance that will guide your child to understand the dancing moving body, whilst allowing time to connect to themselves and working with a group of others. Through exploring movement and the imagination, children will embark upon a dance journey that encourages creativity and self-expression. The class is inspired by contemporary dance techniques and somatic movement education. This class is perfect for young people that want to learn the basics of movement and try something new, a great beginners dance class.